All ages benefit from camp. In fact we firmly believe it is never too young to start introducing an adopted child to his or her birth culture, but also to many other adopted children “just like them.” All of our workshops are taught by people who are of the same culture as the children, and who love sharing their culture with our kids. The counselors are also with the kids at all times, providing that important guidance and cultural role modeling for our campers throughout the day. We begin with our child care program complete with culturally relevant toys, videos, and activities for toddlers. Parent volunteers work in the child care room with our 2 year olds and younger during designated workshop times, so that parents of the infants may attend parent workshops if they choose. You are always welcome to keep your infant/​toddler with you during camp, but we then ask you not to bring your little one to the parent workshops. Our campers begin at age 3 (if they are potty trained) in our PreK program. This program has built-in rest time, and is organized so that camp workshops and activities come to the kids, similar to a protective preschool environment. 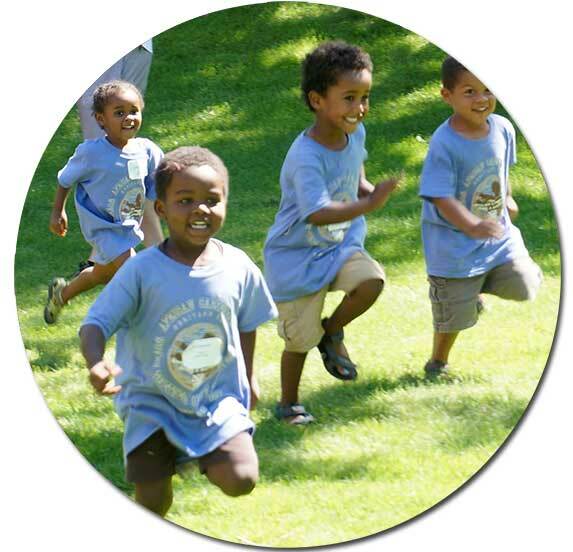 We emphasize cultural experiences that are age appropriate for our Pre/​K group. Some of the favorite workshops and activities for this age group have been storytelling, complete with puppets and/​or costumes, learning to “cook” with play ethnic foods and kitchens, singing children’s songs from their birth heritage, playing games, and dancing. Of course, this age group visits our “cultural village” at every camp, which is a hands-​on cultural experience for all ages. Children in this age group also participate in our HeART Talks™ program. We have a full scale elementary-age program that strongly focuses on cultural activities that are age appropriate and fun. We strive to make learning about one’s culture experiential and memorable, with plenty to take home from camp, whether it is something tangible, like an art project, or an understanding of the ways a culture shows a love for family, or prepares certain foods. Many of our campers take what they’ve learned at camp back to their schools, faith groups, Boy and Girl Scout troops, and friends and family, to share their pride and knowledge of their birth culture. Some of the favorite workshops and activities for this age group include making culturally specific craft projects, cooking simple ethnic foods, playing games, singing songs or playing musical instruments, learning dances, and acting out stories and plays – all from their culture. Like the Pre/K group, kids ages 6-10 also visit our “cultural village” at every camp, which is a hands-​on cultural experience. Children in this age group also participate in our HeART Talks™ program. Pre-​adolescence is a critical time in any child’s identity development, and a camp experience helps adoptees in this age group gain a sense of pride in who they are and where they came from, supporting them in feeling less alone in their emotions and experiences. We emphasize team-building activities and ways for this age group to form close bonds. Favorite workshops and activities include canoeing, ropes courses, playing outdoor team games, plus more advanced art projects, musical experiences, martial arts, dancing, and learning about traditions and customs connected to their cultural roots. Our middle school campers also participate in our More Than Me™ program. High school students continue to grapple with their identity and long to feel a sense of belonging within their cultural group, and also with fellow adoptees. Our high school programming features team building activities, creating strong bonds with other adoptees their age. 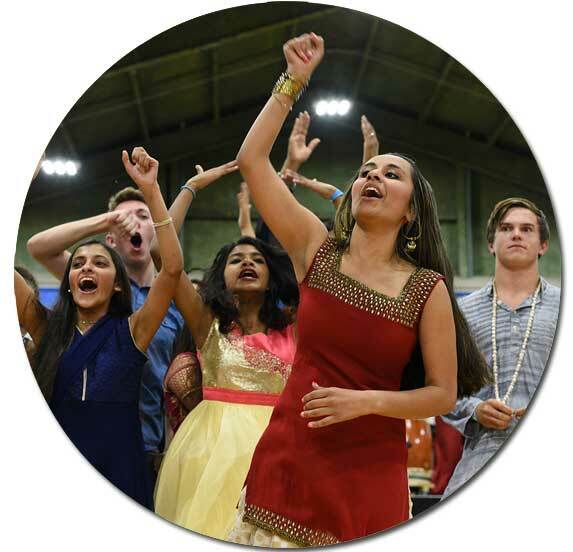 Favorite workshops and activities include white water rafting, ropes courses, playing outdoor team games, plus more advanced art projects, musical experiences, martial arts, dancing, and learning about traditions and customs connected to their cultural roots. Our high school campers also participate in our This is Me™ program. The camp experience doesn’t end when an adoptee graduates from high school — it is followed by opportunities to attend post-high school programming and activities after high school graduation at any of our annual 9 camps or to be a counselor or volunteer at camp. Learn more about post high school adult adoptee opportunities here.